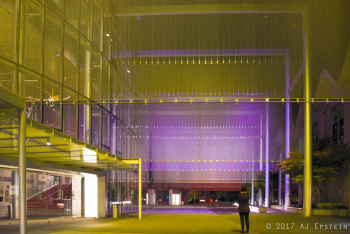 Art and high technology unite in spectacular fashion in the latest iteration of Leni Schwendinger’s Dreaming in Color illuminated color field at the Seattle Center Campus. 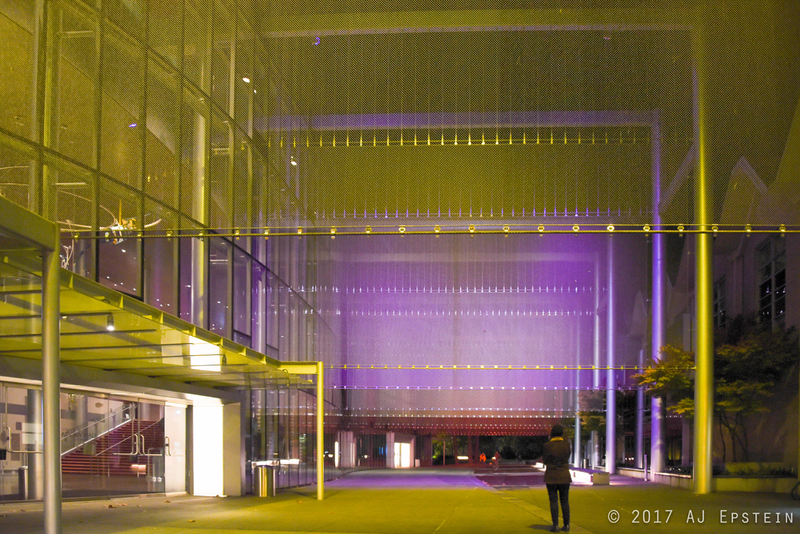 Drawing on her early experience as a concert lighting designer, where she “sought to interpret musical compositions with color fields of light and abstract projected forms,” Schwendinger first lit the nine rectangular mesh scrims that form a series of backdrops between the Phelps Center and Marion Oliver McCaw Hall, in 2003. 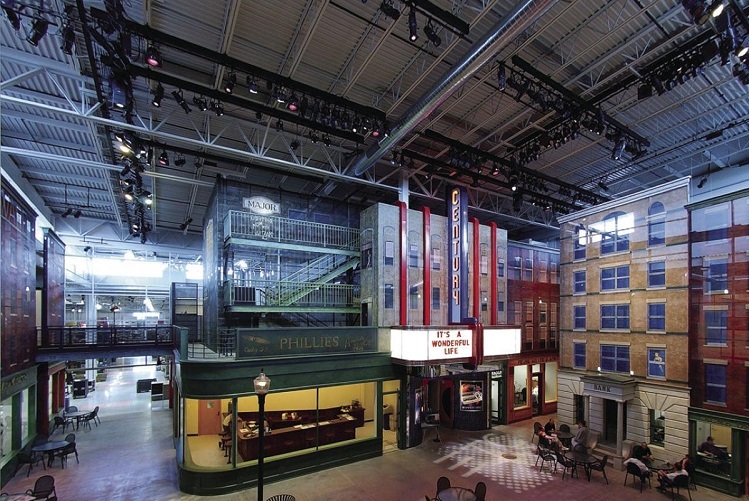 Extending the drama of performance and stagecraft outdoors to the 450-foot long passageway was a bold and challenging undertaking in an era when building exteriors were blasted by mono-color low pressure floods and the term “architainment” was just entering the lexicon of architects. The obvious need for a waterproof fixture in the Pacific Northwest only made the task seem more impossible. 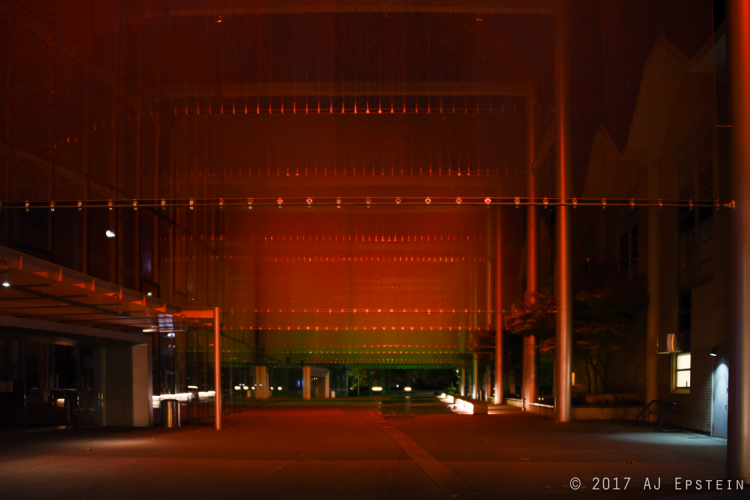 “We sought one individual light that the site’s scale and layers of canvas suggests – a light with a panoramic beam spread that would change colors automatically,” remembers Schwendinger. 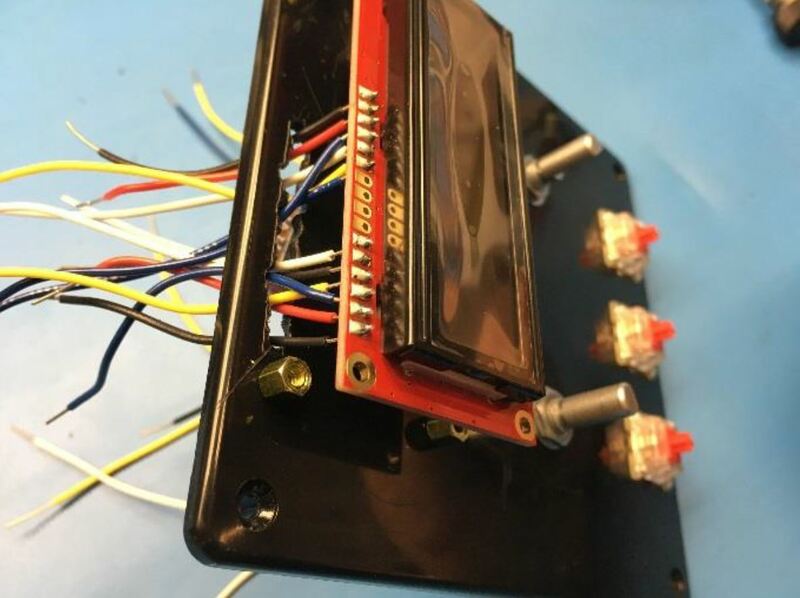 The solution to use open-faced HMI fixtures fronted by moving dichroic plates allowed almost infinite color rendition, but strictly limited the color palette of each composition. Accurate color rendering that represents the seven different states of consciousness explored by Color Field painters of the 1950s lies at the heart of Schwendinger’s design. 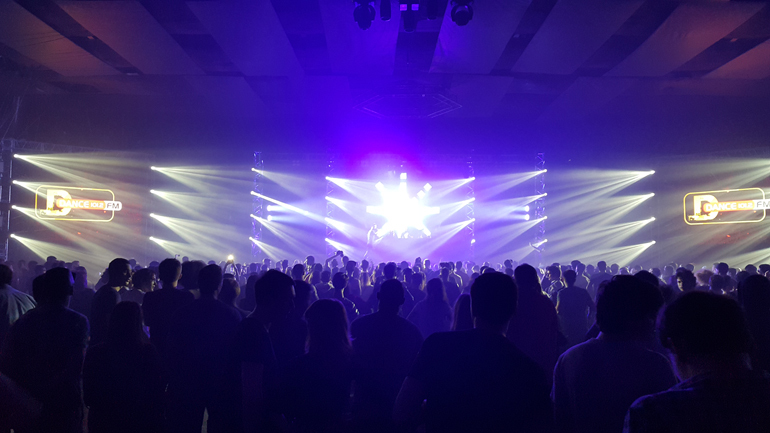 Jump forward to 2017, when Patty Mathieu, venue Production Manager, got the chance to re-equip the project using current LED technology. Of course, with this opportunity came new challenges. 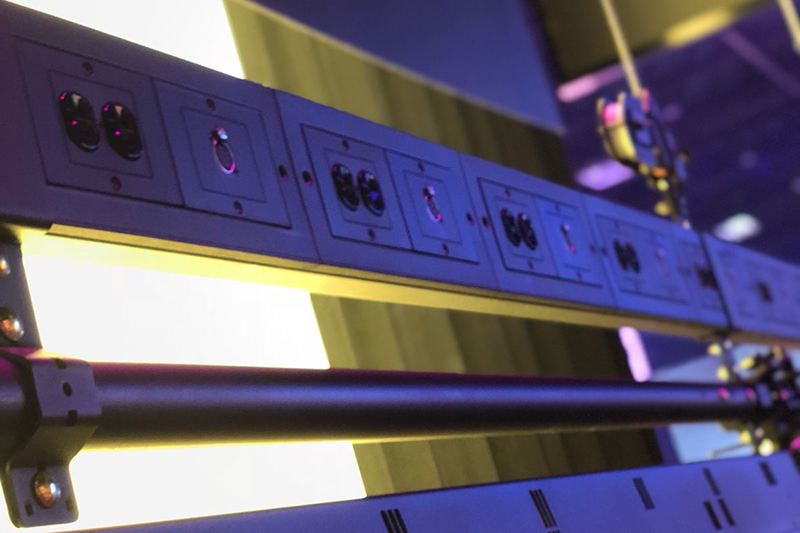 For Mathieu, the ETC Desire D60XT PAR, controlled by a Mosaic Tessera, ticked all the boxes for automated color changing, beam spread, and programmable automation. “The original design was Leni’s unique vision. The new system would be a platform allowing other creative people to put a spin on her idea,” explains Bloxham. 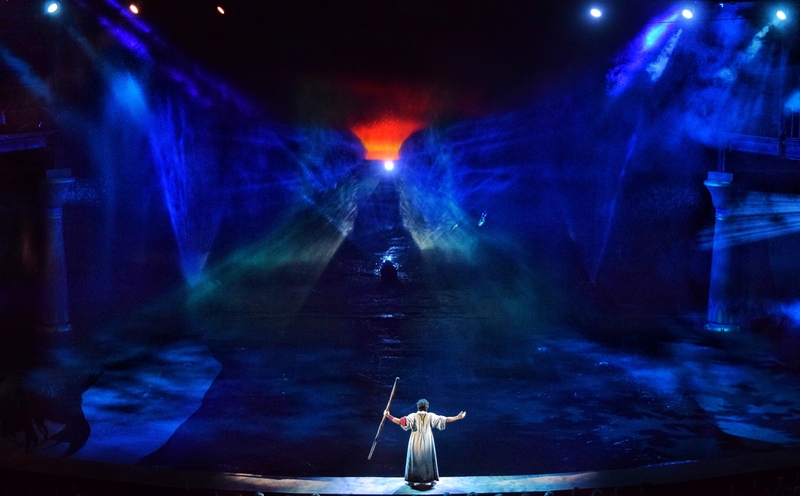 Local lighting designer Randall “Rico” Chiarelli, best known as one of America’s foremost ballet designers, christened the new installation with programming sequences based on the artwork of James Turrell. “He created very slow moving long sequences that are calm, meditative and explore the relationship between dusky daylight and artificial light,” says Mathieu. Shades of blue and purple adorn the Dreaming in Color exhibition at the Seattle Center. 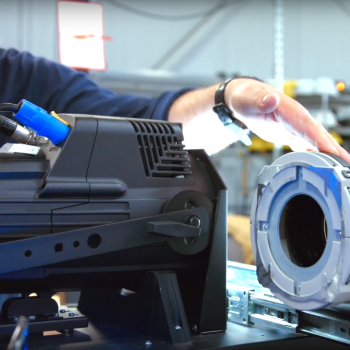 Now, the nine screens of different sizes are lit by 32 ETC D60XTI outdoor-rated PARs, replacing the original HMI fixtures. 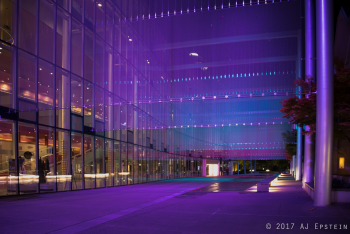 The sequences are controlled by a Mosaic Tessera, and the Seattle Center continues to offer lighting artists the chance to realize their own vision. 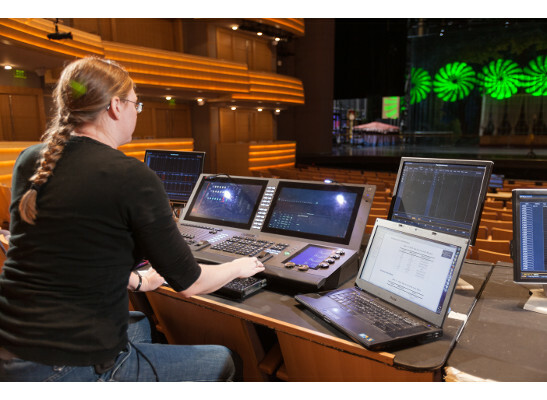 “A designer can suggest a new set of cues and sequences which the house crew can program into Mosaic,” adds Bloxham. Seattle’s Office of Arts and Culture funded Schwendinger’s design in recognition of her work creating the original Dreaming in Color. The new installation was funded by Seattle’s Office of Sustainability and Environment. Schwendinger is the driving force behind Nighttime Design, a group of artists who believe that we all deserve an exhilarating visual treat from our cities after dark.